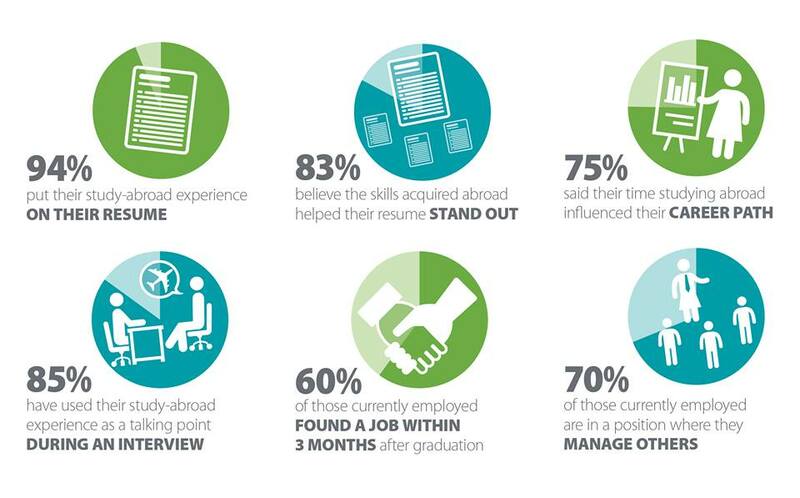 Deciding to study abroad is a big, but exciting, step. The opportunities are endless for a student wanting to experience the challenge of studying in a different country, but one challenge to face before you begin is getting your parents approval and/or financial assistance. Follow these tips to prepare yourself and your case before bringing the idea of studying abroad to your parents. Before you bring it up to your parents, do your research. Make sure that you know what you want to do, and anticipate questions that your parents will have. Some parents frequently asked questions can be found here. Won’t this make you fall behind in your studies? All semester programs offer courses that transfer into EIU credit. The number of semester hours offered depends on the program so do your research, and know what classes your program provides. On summer programs, you are earning course credit where you would not have been if you stayed home. Our summer programs offer a wide range of courses, so again, do your research and know what you want to take, and how it will count, before speaking to your parents. Go to our Couse Finder to see which courses you can take that transfer into EIU credit. How are we going to pay for this? We don’t have the money for that. 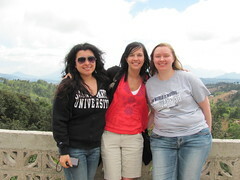 The Study Abroad Office has many options for financial aid and scholarships. With both of these, you can lower your out-of-pocket cost significantly. Make sure to ask to an advisor in our office about scholarships that you are eligible for and due dates. Also check out the Financial Aid section of our webpage. How will I know you are going to be safe in a foreign country? Everyone involved with the Study Abroad program is intent on your safety. It can be scary to think about something happening so far away, but measures are in place to make sure that you are being taken care of while you are studying abroad. Check out our page on Health and Safety. But I’ll miss you too much if you’re so far away! Sending you to college was already a big step for your parents; the thought for you in another country is scary for them. There are many ways that you and your parents can stay in touch while you are abroad, whether that be for the summer or for a whole year. Check out our page on keeping in touch. Timing is key when approaching your parents about studying abroad. Make sure that you bring it up in a moment of happiness and relaxation. If your parents just got off work, had to deal with traffic, and now has to deal with your whining sibling, that’s probably not the best time to bring up something like studying abroad. Make sure that you time the discussion so that you have time to have a discussion. Make sure when you are speaking to your parents that your tone of voice never reaches anything that can be called disrespectful, but at the same time do not back down. Answer your parents’ concerns with facts, and make sure they know you are serious and that studying abroad is not just a passing whim. If you present yourself as a mature adult making an informed decision, they will be more likely to treat you like one. Sometimes your parents just want to feel like they are part of your decision. It might be a good idea to have multiple options so that your parents can help you narrow it down. If there are still issues, do not be afraid to compromise. Studying abroad may not be possible this year/semester. 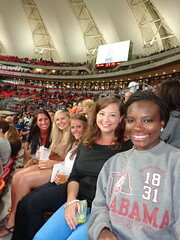 Have a plan B program and make sure to bring up studying abroad next year/semester. 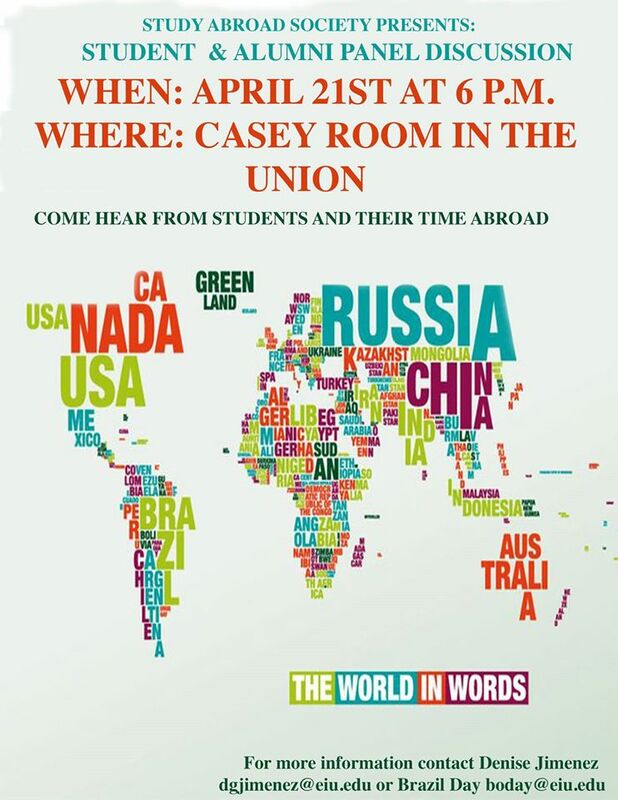 For information from previous Study Abroad students, come to our panel discussion on April 21st in the Casey Room in the Union! Forget the stories you’ve heard about horrifying hostel experiences. Hostels are not at all terrifying places that should be avoided. Many can actually be rather enjoyable, and can even save you loads of cash. Those are great words to hear, especially when it comes to travel. You have already been paying airfare, fees, and countless other expenses to see the world, so saving a little money here and there can be a big help. Some hostels can be as little as $5 per night. Hostels are a great alternative to staying in a pricey hotel or apartment, and they can have a whole lot of other benefits as well! One of the best parts of staying in a hostel is the people you will meet. Living in close quarters with a bunch of people that you do not know can make you feel uncomfortable, but you will quickly become close friends with many of them and will have the opportunity to hear many unique and interesting stories about other people’s travels. You may even meet people that have great travel tips for you that can be a big help during your trip. Stepping out of your comfort zone to meet other people from around the world will result in an experience that you will not regret. Hostels are a perfect choice for weekend excursions while studying abroad. Taking weekend trips to neighboring countries or cities is common while abroad, and a great opportunity for seeing the world on a budget. You can find affordable hostels to stay in for the weekend that can save you heaps of money on your weekend adventure. Staying in a hostel you are likely to meet other people and find that they are doing something more exciting than what you had planned or something new you had not heard about before. This gives you the option to be spontaneous and tag along with your new friends on an adventure and get the most out of your travels. Have a hostel experience to share? Tell us in the comments!